Last edited by Kowy; Jan 29th, 2010 at 14:36. Profile:	Trance producers + brothers ! very nice tune now! someone wanna dance? 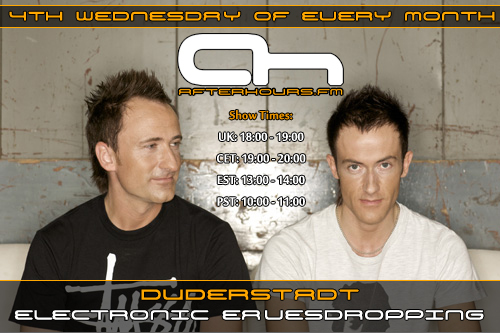 Hello AfterHours!!! Headphones plugged in and ready for some tunes!! It's been a great start of the year for new tunes, Let's hear it Duderstadt!! Anyone have the tracklist or know where we can get it?